Since we had two cars that needed to be re-homed to California, Mark and I each had to drive out separately. Mark had to attend a week of training in the Bay Area so he left about 10 days before I did. My parents graciously offered to make the drive out with me, so I sat in the back seat of the car for three days and stared out the window while they drove. Sitting in the backseat forever. I brought all sorts of things with me for entertainment, but I tend to get carsick, so instead I mostly just chatted occasionally and watched the scenery slowly change. I was prepared for an incredibly boring drive, but honestly all the states were pretty in their own way. I had never been through most of the areas we drove through, besides Missouri, so it was all new. Oklahoma and the Texas Panhandle were surprisingly pretty, if you like rolling hills and lots of sky. 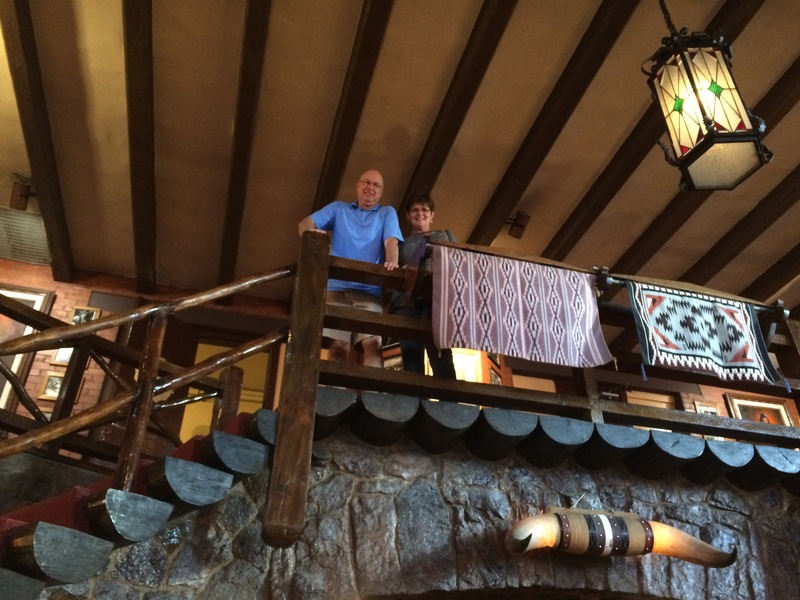 We stayed the first night in Oklahoma City and the second night in Gallup, New Mexico. Coming up to Gallup the scenery started to look more what I considered “Southwestern” and I got pretty excited and tried to take a million photos of it. 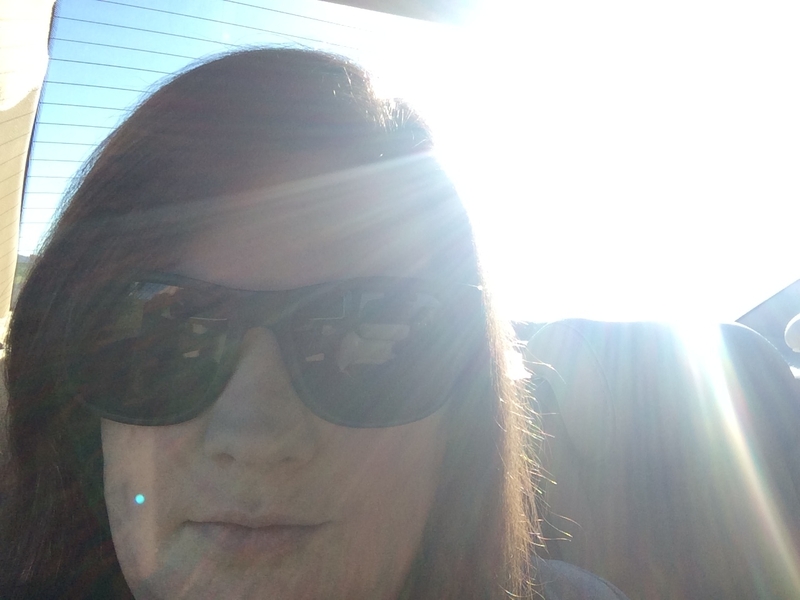 iPhone cameras don’t take very good pictures of distant scenery from the backseat of a moving vehicle. I tried my best! 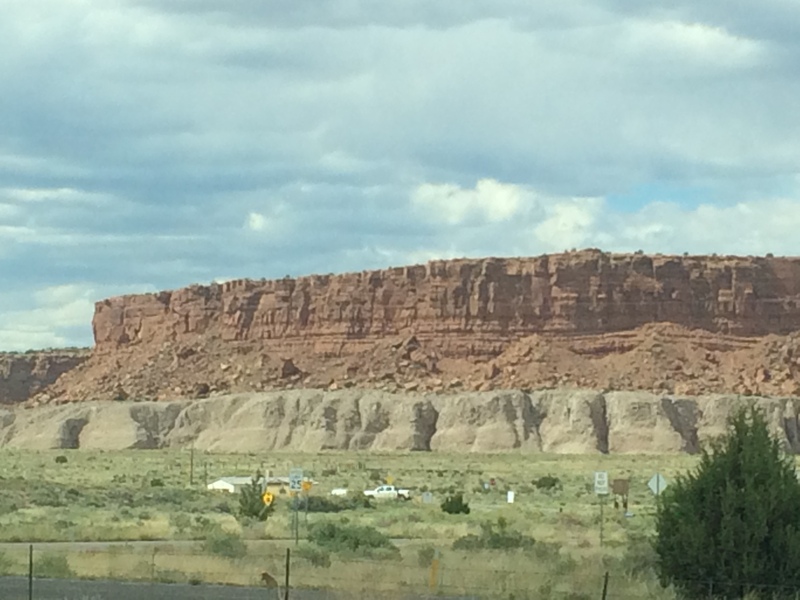 This one is from somewhere in the vicinity of Gallup. Yup, we’re definitely in the Southwest. Blurry, but you get the idea. My mom and I were disappointed that our cameras weren’t doing a very good job of capturing the red of the rocks! I took some photos on my “real” camera as well, but the cord is packed away in storage with all our stuff, so I’ll have to post them later if I got any good ones. 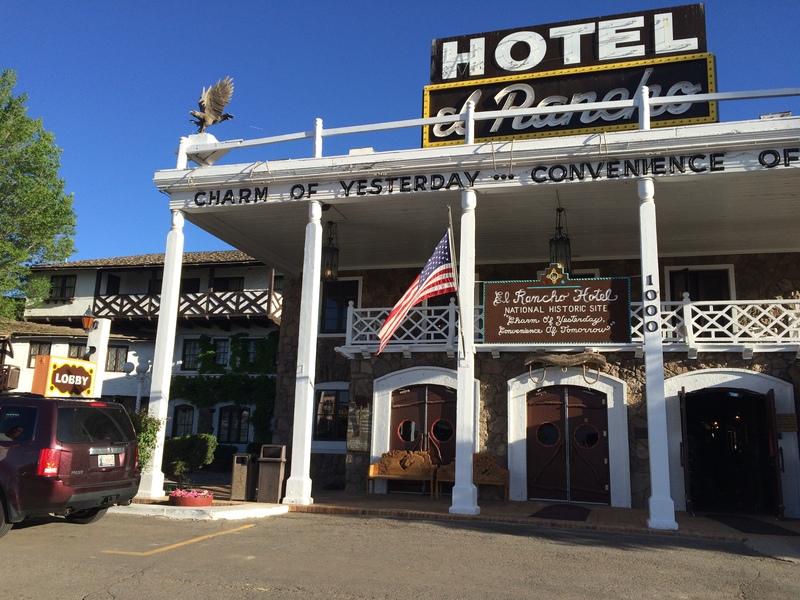 In Gallup we ate dinner at the El Rancho Hotel, which was a neat historic hotel, restaurant, & bar from the Route 66 days. Lots of movie stars stayed there back when they were filming westerns in the area, so they had lots of photos and a bunch of random old things. The food wasn’t too bad, either. Luckily they were open, unlike most things in the town. Pro-tip: If you’re ever traveling through Gallup on a Sunday, nothing will be open! We took some touristy photos there, of course. The lobby of the hotel was all rough wood and stone, somewhere in between an old Spanish mission style and a mountain cabin. Pretty cool to look at, but I was glad our rooms were at the Holiday Inn. 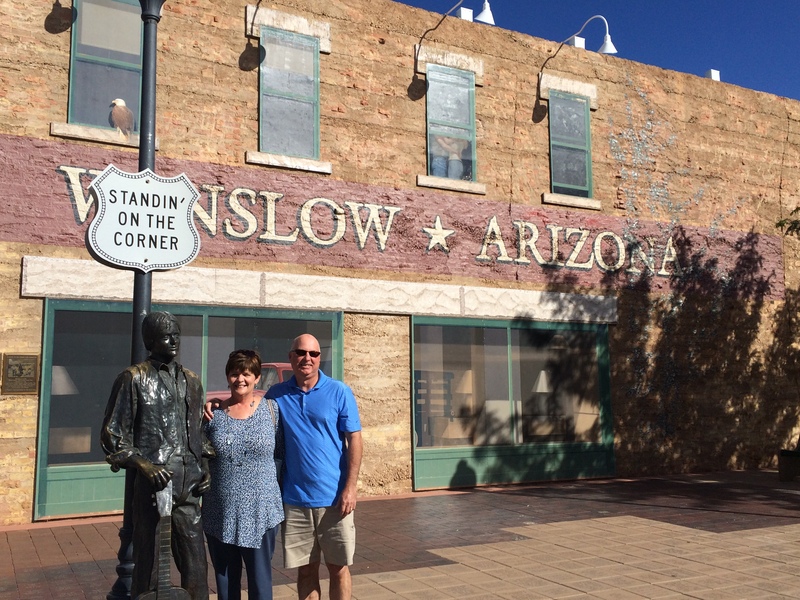 Standing on the corner in Winslow, Arizona. I just now noticed that there is also an eagle in the upper window. They went all out on this, guys. There was a sound system playing Eagles music out there, and also a little gift shop with Route 66 stuff. It was about the only thing the town had going for it. The theme of the third day of driving was desert, mountains, and desert-y mountains. After Winslow we went through Flagstaff, which was piney & mountainy, but after that it was desert forever. The temperature climbed steadily as we drove west and everything got more barren. My mom and I were super excited when we started to see cactuses everywhere. This picture pretty much sums up most of what I stared at that day. Endless desert to stare at! We stopped for lunch just across the border in California, where it was a little over 100°. I call shenanigans on the “dry heat” business that everyone talks about. 100° is awful, with or without humidity. 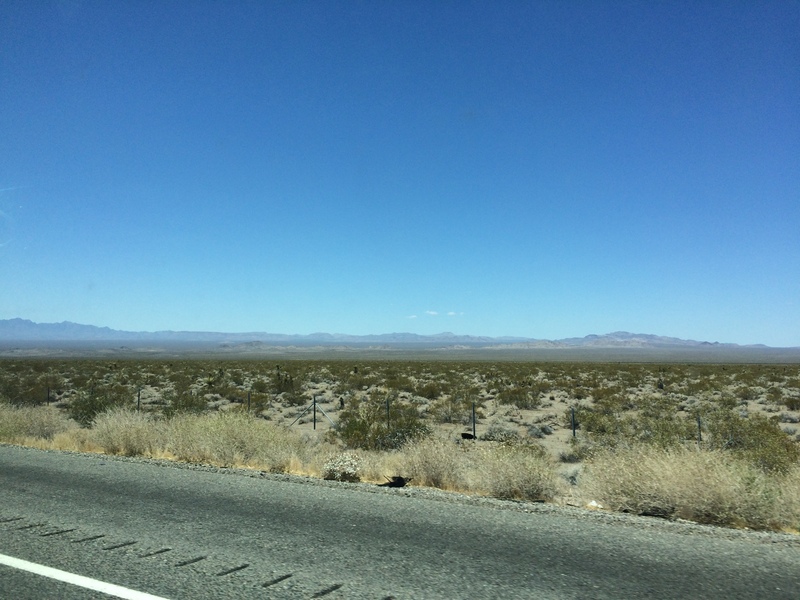 About halfway across California, after passing the Mojave Desert, we joined up with I-15 in Barstow, and ALL the traffic. At first it seemed like just traffic from merging, but no, it was basically solid traffic for the rest of the drive. My poor dad drove most of that day and got stuck navigating all the traffic while my mom and I tried to navigate us through multiple freeway interchanges and 8 lanes of traffic. 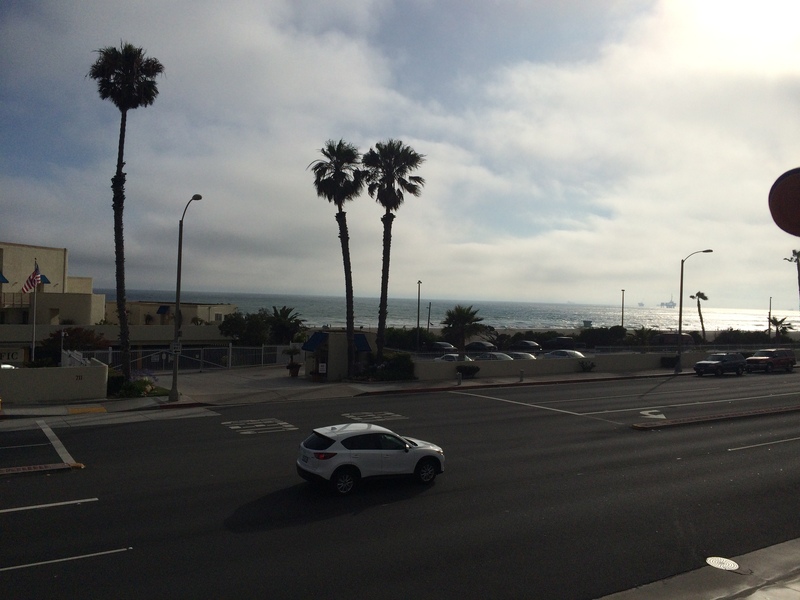 We made it incident-free to their hotel on the Pacific Coast Highway in Huntington Beach late that afternoon, though, and I got my first view of the Pacific Ocean! We hadn’t stopped since the desert, and the breezy 70-something degrees of the beach was an amazing welcome to our new home state! The Pacific Coast Highway & the OCEAN! That’s probably too much for one blog post now, so I’ll have to save my update on what we’ve been doing the last couple weeks until later.